A Pure Start To Life. At Bellamy’s Organic we continually review our products to ensure they reflect industry best practice and expert nutritional advice. As a result, we are pleased to announce that we have launched our new formula and toddler milk range. 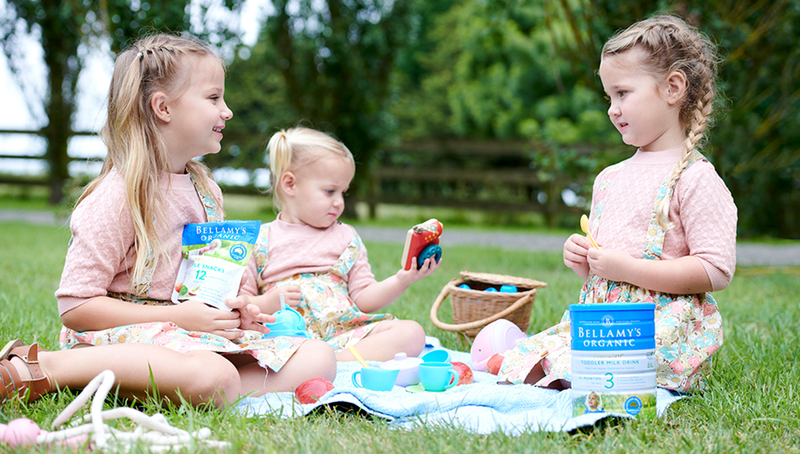 Our reformulated Organic Toddler Milk Drink offers a new and improved recipe which now contains DHA and GOS. Designed to complement the nutritional needs of toddlers, from 12 months of age, our new and improved Organic Toddler Milk Drink is an alternative to cow’s milk providing between 20% and 50% of the recommended dietary intake of 16 essential vitamins and minerals.